If you are an Xbox One or Xbox One X owner who hoped that Microsoft’s E3 2018 conference would reveal just how the company is going to spend the next couple of years making their current consoles the best on the market, you likely walked away feeling a little letdown. That’s not to say that Microsoft’s E3 2018 showing was a disappointment. Actually, you could make an argument that it was their best E3 showing in years. 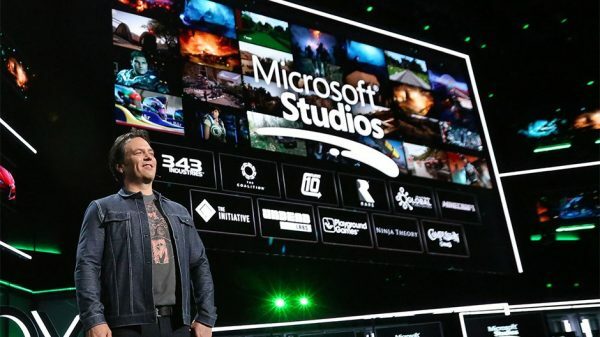 What separated Microsoft’s E3 2018 showcase from previous years is that they wasted no time on the failures of the past. This year was almost entirely focused on the games. While many of those games are going to be playable on other platforms, even the reveal of multi-platform titles like Devil May Cry 5 showed that Microsoft understands which games their users are most looking forward to. On top of that, there were a few exciting exclusive announcements. There’s a new Halo game on the horizon, Gears of War returns, the next Battletoads looks amusing, and there are even some new first-party exclusive Microsoft developers. All of that is great news. Those who read between the lines, though, will be the first to tell you that the real message of Microsoft’s conference wasn’t the amazing things they plan on doing in 2018 or even 2019. Instead, it’s about the future they are building beyond the restrictions of the present. Granted, Microsoft overtly referenced their future by stating that they’ve begun work on a next-generation console that is being developed by the same team that worked on the Xbox One X and by revealing that they plan on developing a cloud service that will let you play console-quality games on multiple devices, but that’s not what we’re talking about when we talk about how Microsoft outlined their future. No, what Microsoft really said without saying it at E3 2018 is that this generation is just a small chapter in the story of the Xbox. Yes, they may be trailing Sony and soon even Nintendo in overall sales, and yes, they may not have quite as many exclusives as their rivals do, but they’re still Microsoft. They still work with the biggest names in gaming, and they’ve got a war chest that most companies can only dream about. Even if you want to say that Microsoft has cashed out of this console generation – which looks to be the case – you have to admire their willingness to already be investing heavily in the future of the Xbox brand and gaming in general. In fact, you have to wonder if any other game company will be as prepared for the future as Microsoft.